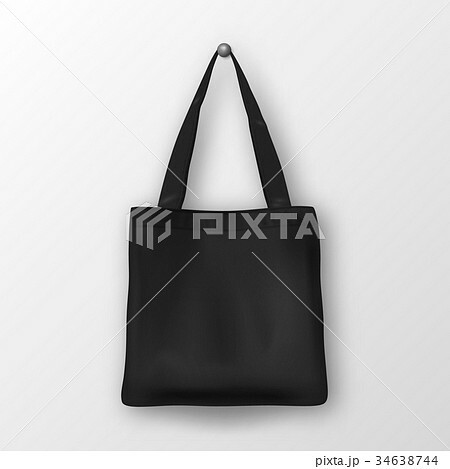 Realistic vector black empty textile tote bag. Closeup isolated on white background. Design template for branding, mockup. EPS10 illustration.